I started writing this post a year ago, so the tale is out of date. I visited this gem of a bottlo again last week – and it has maintained the craft beer rage. I don’t get to Terrey Hills often. It’s a place I’ll drive past on rare occasions (like when visiting Kimbriki Tip) or to on even less frequent occasions (like accompanying the missus to a nursery to do some heavy lifting). So like I said, I don’t get to Terrey Hills very often. Anyway, the missus button-holed me. Council clean-up no longer exists, so it’s now do it yourself. “Surely you can do a trip to Kimbriki”. 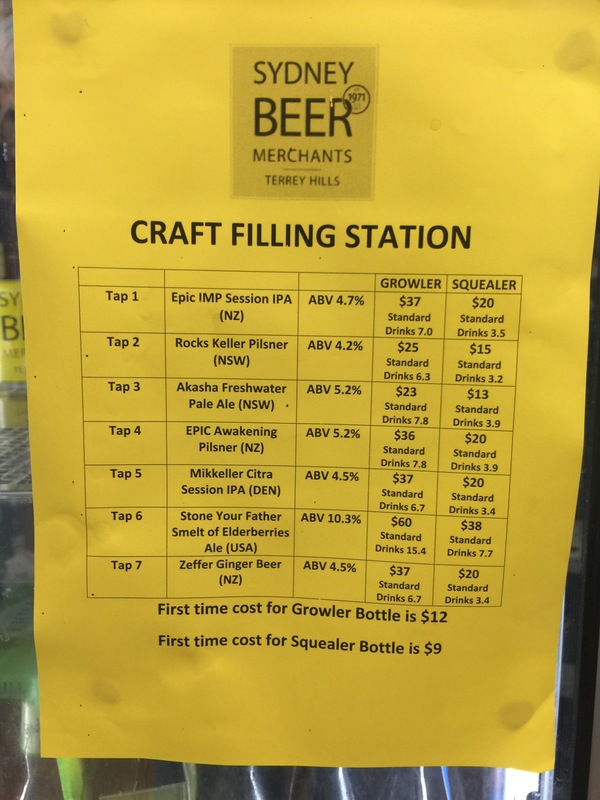 As I started to sigh, I recalled a discussion with someone, can’t remember who, that there was a bottlo in Terrey Hills with no less than 7 Growler Taps. 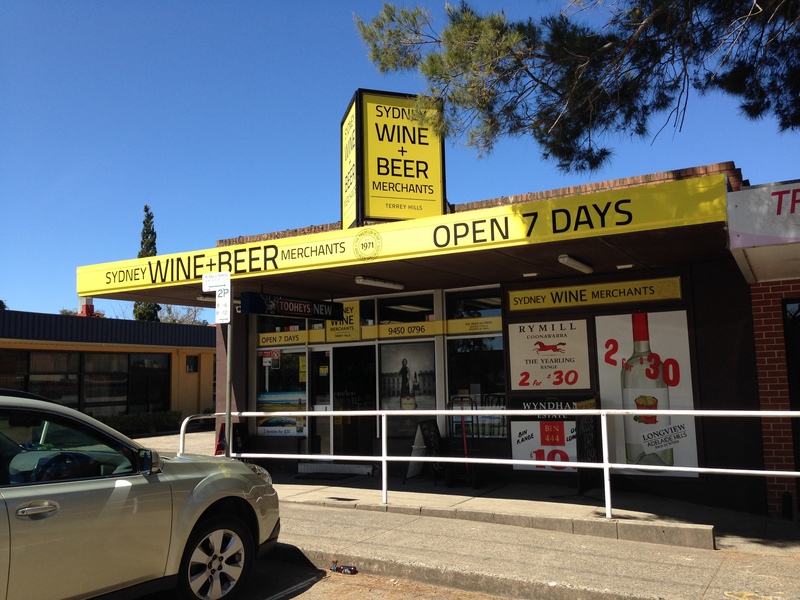 I really couldn’t believe it, but did a little research and sure enough – apparently the Sydney Wine Merchants do beer. So whilst I wasn’t entirely convinced, I agreed with an enthusiasm that I’m sure the missus saw through, that I’d make the trip to the Kimbriki Tip. Tip Trip done, I ventured into Terrey Hills. 6 Booralie Road is the address. Drove down Booralie Road – no sight of a bottlo. Should’ve figured, but I gave it one last look. Ah – Shop 7/6 Booralie Road, which is actually in Yulong Street. It exists. Sydney Wine + Beer Merchants. Phenomenal range of craft beers, with strong representation from New Zealand and the US. Garage Project, Stone, Tuatara etc. 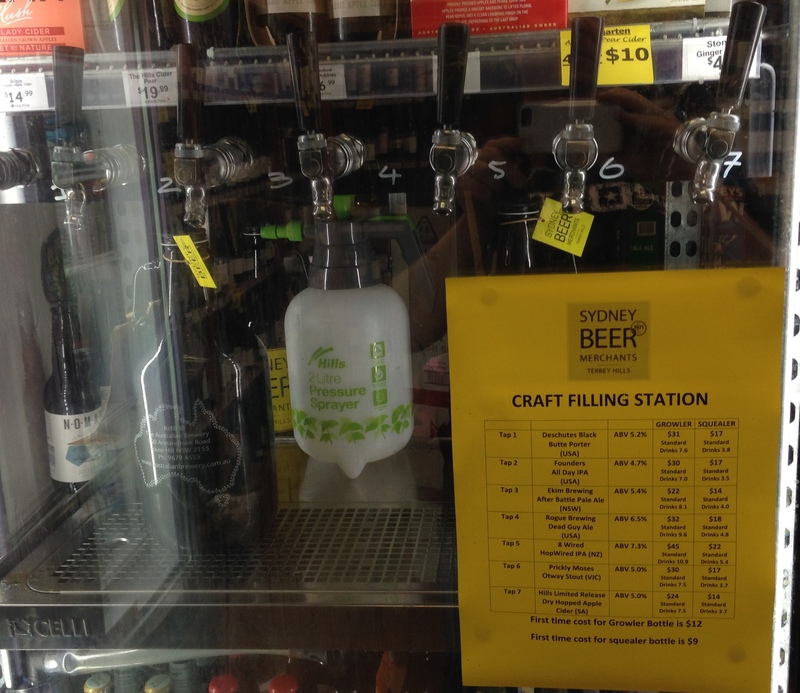 The “Craft Filling Station” is awesome. Seven taps on the go. Even had a ginger beer when I visited last. Their Facebook site updates their tap list. They even have spare growler lids. So there you have it, a hidden gem of a bottelo.